We have been contracting G & D Holmes Electrical to wire our new homes for many years now. We have found Stuart and the boys to be very professional and attentive to the needs of both our clients and staff. Stuart is always there to answer any questions and offer some valued advise where necessary. We engaged Holmes Electrical for the first time in the mid 1990’s. 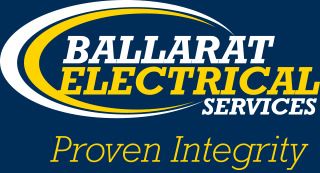 Ever since, Stuart and his team have completed all of our electrical work. Projects have included rewiring of the venue, external car park lighting, outdoor heating, gaming room electrical plans, new sub boards, load testing and our general electrical maintenance and compliance. Workmanship is always of the highest standard and compliance is assured. Invoicing is always well explained, fair and subject to satisfaction. Service is outstanding – in the case of an emergency, Stuart gives it his highest priority – not matter what time of day or day of the week. This gives us great peace of mind. Holmes Electrical works with other trades to ensure major renovations or new constructions are well coordinated and completed on time. So whether it is as simple as a new power point to rewiring a gaming room or switchboard, Stuart Holmes Electrical have never let us down. We have used Stuart Holmes and his team from Holmes Electrical for over ten years. In this time we have renovated our hotel (Oscars), numerous times and built two medical centres. All of these projects have required extensive, difficult, precise electrical work. Holmes electrical have always been professional, on time and very easy to work with. We look forward to continuing our relationship.